Thermal Films - Ambe Trading Co. Thermal lamination films have extrusion coated surface with low temperature melting resin, which enables the lamination of film to paper products by heat and pressure. Our films can be used on all types of thermal laminating machines available across the world. Extrusion-coated EVA on one side of the film, allowing the adherence to the support to be laminated through heat. 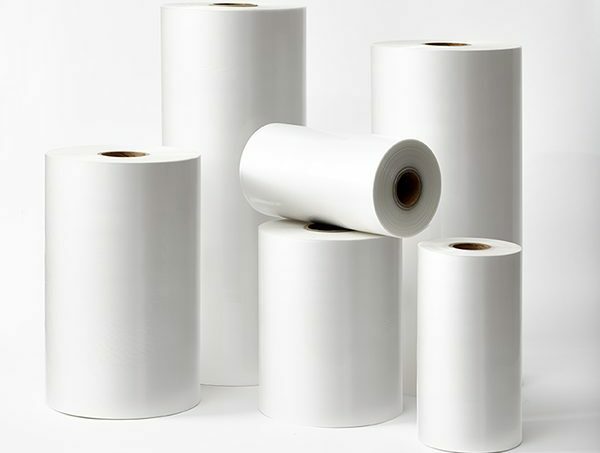 On the other hand, wet lamination films are suitable for conventional wet lamination done with dispersion, solvent-based, UV or special hot-melt adhesives. All lamination films used for wet lamination are pre-treated on both sides for subsequent converting (hot stamping, embossing, UV spot varnishing, etc.). The films are slip modified for high speed lamination and have good anti-static properties. The films also have excellent adhesive anchorage which in turn supports excellent bonding with paper. These films are available in BOPP base. BOPP based, high-lcarity films with excellent gloss finish, designed for high speed, both-side lamination. BOPP based films with unique touch feeling of luxury and exclusivity. Available in 1″ core in all type of finish like Gloss, Matte, Linen, Super Silk. Extra strong BOPP based films, specially for digital prints. Very good bond strength with digital printing inks.